Weather across the country appears to have been favorable so far for this year’s tree fruit crops, with seasons’ arrivals being slightly delayed. Industry representatives describe their impressions of this season and recommendations for promoting tree fruit at retail. Valhalla Sales & Marketing Inc., Kingsburg, California, grows 80% of its peaches, plums and nectarines within 60 miles of the Kingsburg area. For the 2019 season, David Stone, president and CEO of the company, says as of March, everything looks good with no indications of problems, so he’s optimistic. Jeff Simonian, president of sales and marketing for Simonian Fruit Co., Fowler, California, says his company grows yellow peaches, yellow nectarines and red and black plums. In March, Simonian said the bloom is about two to three weeks later than last season, which is an indication that everything will be later this year. Stemilt Growers LLC, Wenatchee, Washington, grows three cherry varieties — dark-sweet/red cherries, Rainier cherries and Skylar Rae cherries (its signature item) in the category. All of Stemilt’s cherry packs come in a variety of sizes and pack types (including pouch bags, clamshells and new top-seal packs) to help retailers carry items that work for their store needs, as well as for retail pricing, she says. 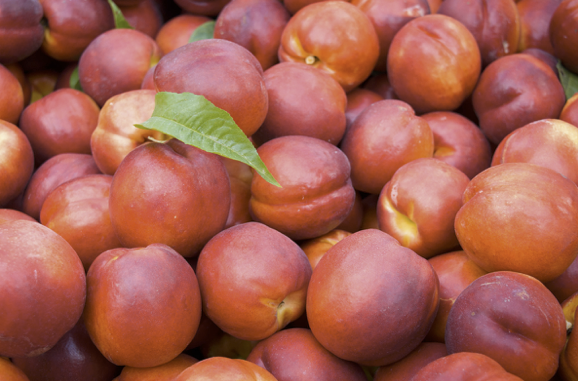 Washington is where Stemilt grows the bulk of its cherries and summer fruits (peaches, nectarines, apricots). Stemilt’s Artisan Organics peaches and nectarines have been 100% certified organic for more than a decade, with their season running late July through September. The company grows a high percentage of its apricots organically as well, with a late-June through July season. Stemilt grows cherries in multiple regions in Washington for a season that runs from June to September. Jerry Frecon, a retired Rutgers University professor and horticultural consultant for the New Jersey Peach Promotion Council, says New Jersey harvests 5,000 acres of peaches from 75 orchards that offer more than 100 varieties. These fresh peaches are yellow and white-fleshed and are mostly the freestone variety, which are available from the state from July 20 to Oct. 1. Clingstone peaches are available from June 20 to July 20. At retail, product doesn’t move without promotion, says Stone of Valhalla Sales & Marketing. Simonian of Simonian Fruit Co. suggests promoting stone fruit as a grilling companion in cross-promotions with corn and produce and other items for the grilling season. Pegi Adam, marketing consultant for the New Jersey Peach Council, says the group typically promotes New Jersey peaches directly to consumers, and when possible, works with supermarket nutritionists to do tastings and have them talk about the nutritional value and low calories of the fruit. “We are experimenting with alternate ways to prepare peach dishes, which will be sent to supermarket nutritionists and farmers markets as flyers on what all you can do with peaches,” Adam says. Shales of Stemilt says frequent ads are a must — given the seasonality of cherries and stone fruit. “Generally, we see the first cherry ad on California cherries for Memorial Day, although the crop volume and timing dictates that,” she says. Fourth of July also is a big promotional week for cherries that lines up well with Stemilt’s Washington crops, Shales says. Cherries also can be promoted as beneficial for those who suffer from arthritis/gout because of their anti-inflammatory properties and high antioxidant concentration, she says. It’s important to promote multiple varieties, types and colors of stone fruit with big full displays, says Simonian of Simonian Fruit Co.
“For plums, you want to promote three or four colors; peaches and nectarines, promote both white and yellow-flesh varieties,” he says. Some retailers even do secondary displays for stone fruit near the registers to catch the impulse buyers, Simonian says. Adam of the New Jersey Peach Council says locally grown displays, such as those that play up “Jersey Grown” or “Jersey Fresh,” appeal to regional shoppers. Cross-promotion displays for peaches can include vanilla ice cream; angel food cake/pound cake for a great dessert; plain yogurt with fresh sliced or pureed peaches mixed in (as opposed to commercially flavored “peach” yogurt with too much sugar, sodium); sliced and sautéed peaches accompanying pork roast/chops; or peaches in green salad instead of tomatoes, Adam says. Cherries are an impulse purchase, so dedicating lots of display size to these fruits is important, says Shales of Stemilt. Finally, Shales says retailers shouldn’t be afraid to get creative with their cherry and stone fruit displays.